Daphne is a one-year-old orphaned female who will stay at the Cincinnati Zoo until she's old enough to be released back into the wild. Zoo Director Thane Maynard says while Daphne is staying with three males, she won't be bred here. 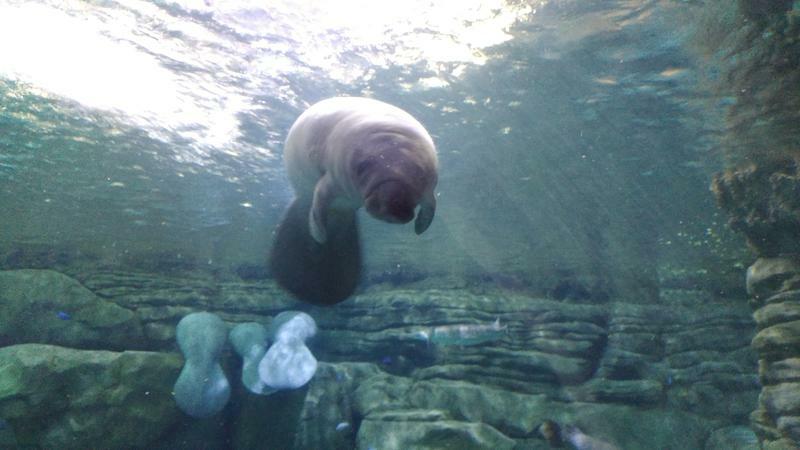 Manatee keepers say Daphne is "brave" because she started exploring her surroundings immediately. "Unfortunately, she was orphaned," Maynard says. "Her mother was hit by a boat and didn't survive that. 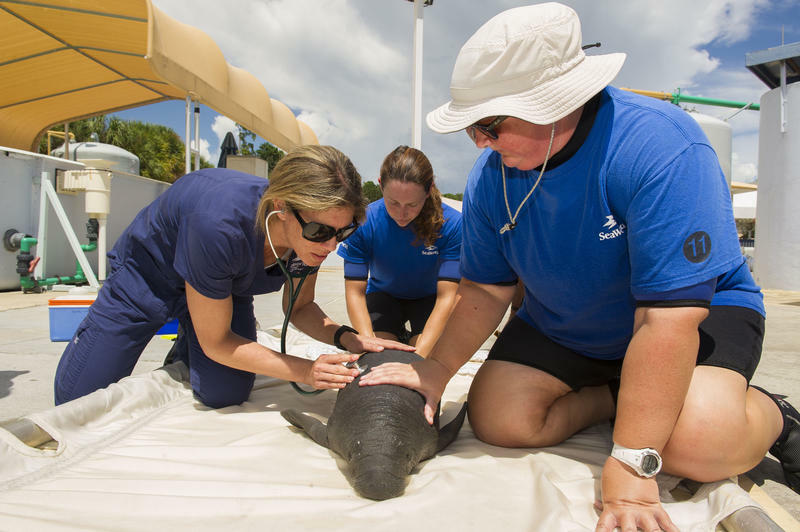 We worked with our friends at Sea World who rescued Daphne down in Florida. Last night (Monday) she was flown into CVG and then came straight here to the zoo." 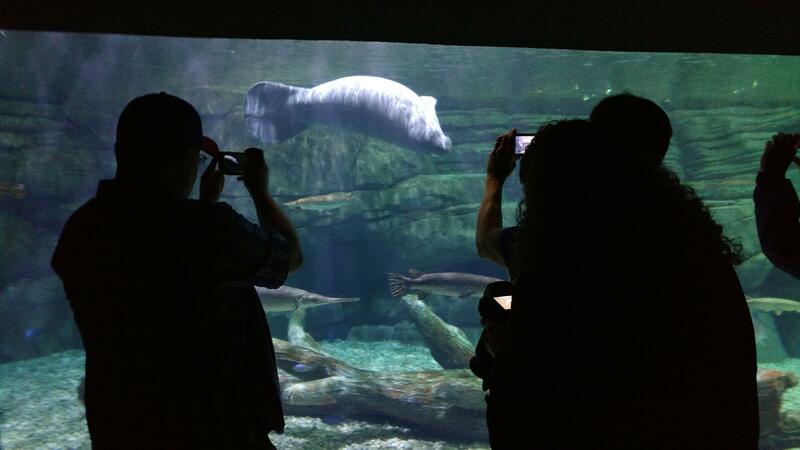 The Cincinnati Zoo is one of only two facilities outside of Florida that are part of a manatee rehabilitation program. 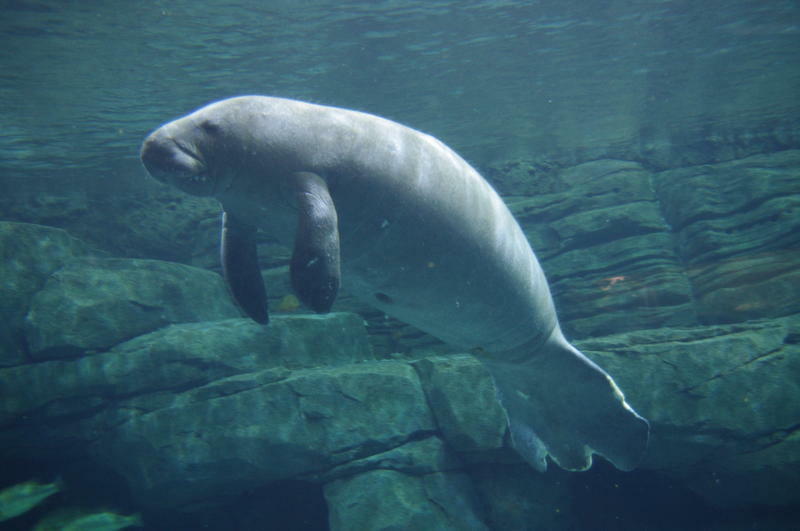 Daphne is the 19th Florida manatee to be cared for at the Cincinnati Zoo. Maynard says she's still acclimating to her new surroundings. "The keepers say Daphne is very brave. Because when she first came, she went out to explore, to check out this new area and see what it's like. And she seems to be doing very well, and it's certainly a good sign that she's already eating," Maynard says. 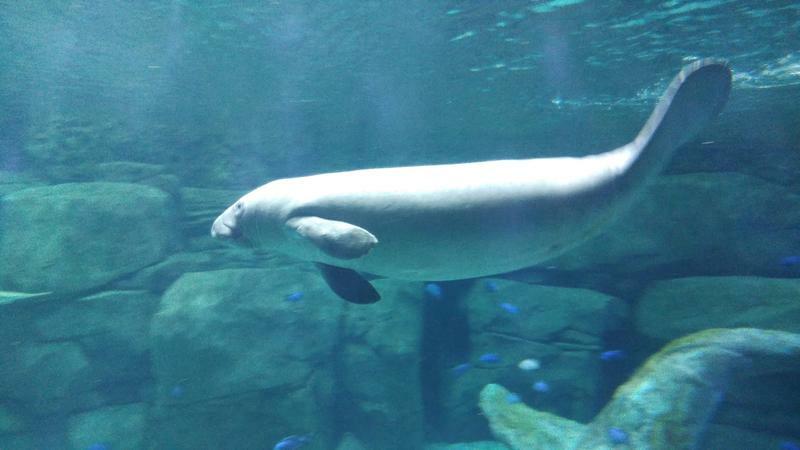 Daphne is getting used to her surroundings and zoo staff say she could be ready to be seen by the public Thursday. 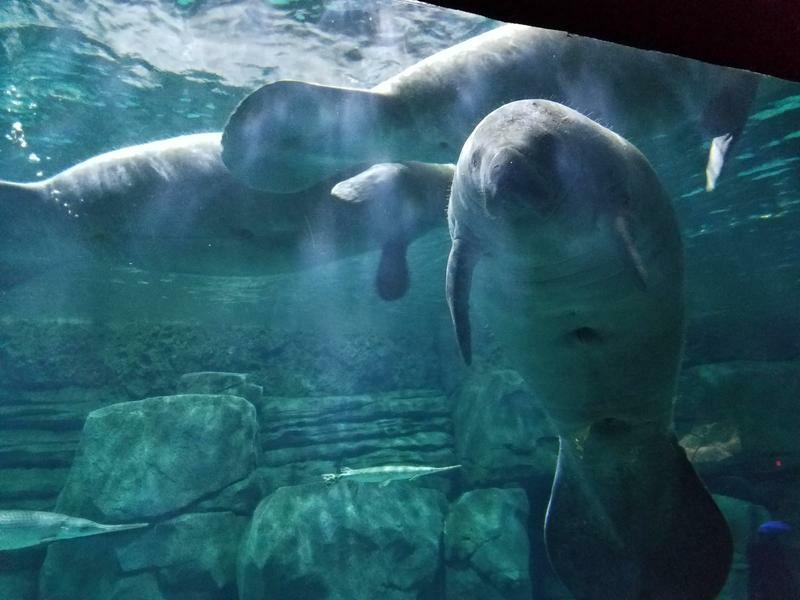 The Columbus Zoo, which also rehabilitates manatees, took in two animals this week. Daphne is named for the late conservationist Daphne Sheldrick. 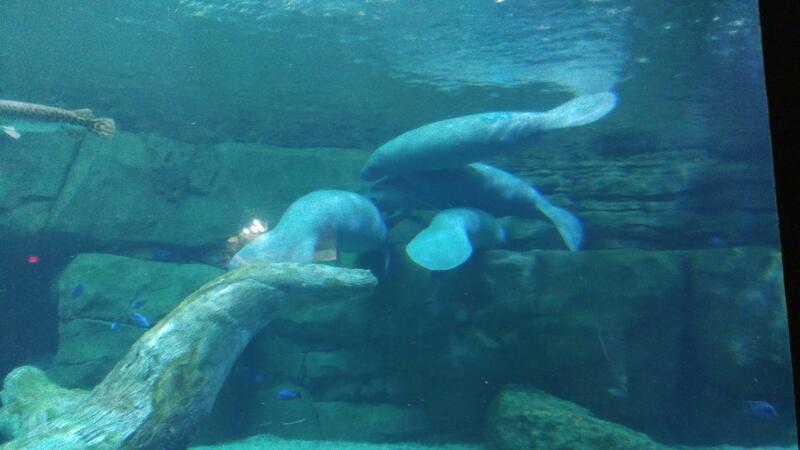 The name was chosen by manatee care staff, along with an Ohio family who helped rescue another baby manatee. Maynard says Daphne will eventually be released back into the wild somewhere in Florida. But first, he says, she should be ready to meet the public Thursday. To see more photos of Daphne, click the photo at top.